We have been very lucky in our three years in Suffolk to have been admitted as ‘honorary’ members of the local artist community. We can’t offer anything particularly creative ourselves but can appreciate the amazing work that people are producing. 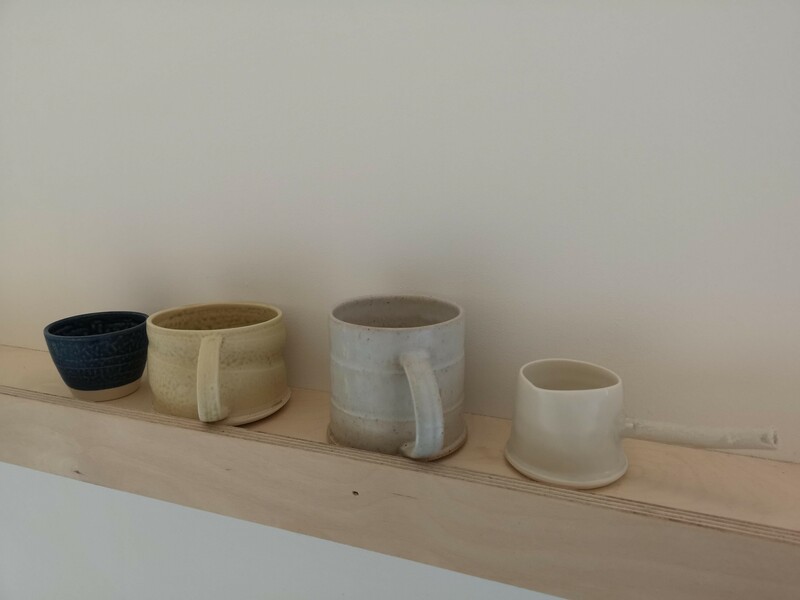 We particularly love the ceramics of Steven Will who makes pots from the local landscape, Annie Turner’s amazing clay baskets referencing the traps used by fisherman on the River Deben and Anna Mac’s bold bright abstract canvases, the epitome of fresh Scandi style.. If you are interested in their work we can often signpost you to their studios (albeit with a little notice and luck) and we also display examples of some of their work. Another alternative way of connecting with the makers is the Suffolk Open Studios – which takes place over the first four weekends in June. You can see the artists involved on their website www.suffolkopenstudios.org. There are some great trails to follow, taking in a diverse array of talents, including oil painters, collage artists, textile artists, jewellery makers….. the list goes on. It’s all pretty affordable too so don’t leave your wallets and purses at home!